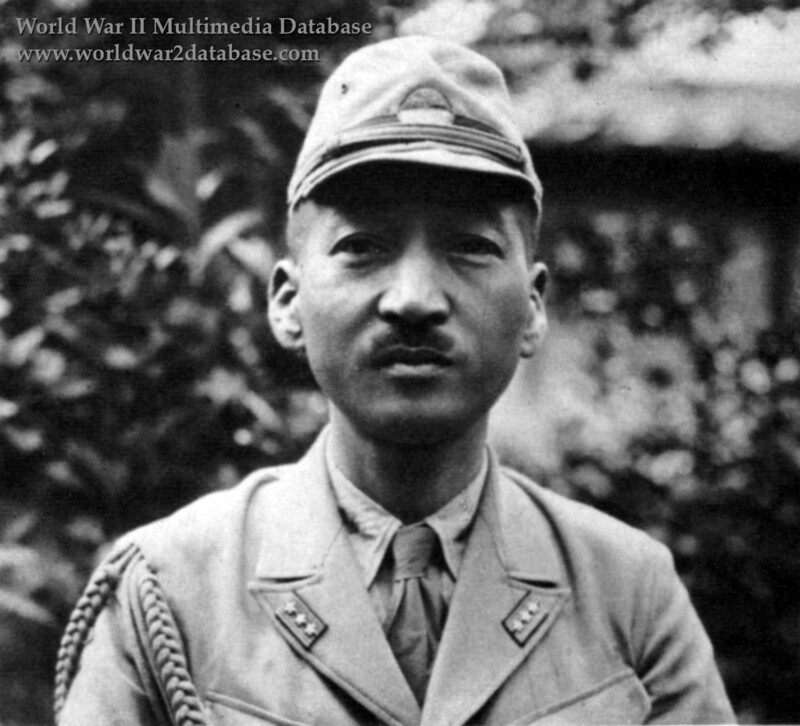 Imperial Japanese Navy Captain Mitsuo Fuchida (December 3, 1902 - May 3, 1976) probably at the time of his interrogation by United States Strategic Bombing Survey (USSBS) on October 9, 1945. A Navy aviator since 1928, Fuchida led the attack on Pearl Harbor on December 7 1941; he broadcast the famous "Tora! Tora! Tora!" (Tiger! Tiger! Tiger!) indicating complete surprise to the Combined Fleet. Incapacitated by an appendectomy just before the Battle of Midway in June 1942, he could only observe that battle. After recovering from broken ankles escaping from the carrier IJN Akagi as it sunk, he was on the staff of First Air Fleet and then Combined Fleet, planning the air operations during the Philippine Sea and Philippine defense. He was charged with air defense during IJN Yamato's sortie against the Okinawa invasion fleet in April 1945. On October 9 and 17, 1945, Fuchida answered many questions for American interrogators United States Navy Lieutenant Commander R. P. Aiken and Lieutenant Commander James A. Field, Jr. Field would later admit that the Japanese had better English skills than the Americans' Japanese interpreters, contributing to errors and misunderstandings. Fuchida later wrote Midway: The Battle That Doomed Japan in 1955. Fuchida's book, along with the USSBS interrogations, became the major English resource for understanding Pearl Harbor and the Battle of Midway.